I hate to be the bearer of bad news, but tax season will soon be here. It’s time to start digging through drawers and cigar boxes for all the receipts and forms you’ve been collecting for the last twelve months and send it all to your CPA. Last year you promised yourself you’d get it done before April 14 this year, but before you even start to think about how you’ll claim that new motorcycle as a business expense, you should stop and consider your current filing system(s). While you’re at it, you should also think about the personal and confidential digital documents you have scattered in your computer hard drive—waiting for a hacker to infiltrate. Seriously… you may have a hard time finding that data on your computer, but hackers and identity thieves won’t. And they won’t wait until the last minute to file with the IRS on your behalf, either. 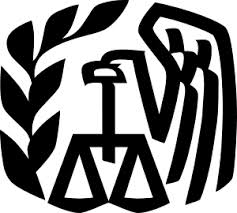 Whether you handle your taxes yourself or use a tax preparation service, you are vulnerable. Most people hoard email and files with all sorts of sensitive data, all the while hoping that our anti-virus protection works as advertised. However, the typical online tax program does little to protect your data, other than during the actual transmission of information. And a tax program email with a PDF puts a lot of information all in one place for a hacker to access. Just one mistake by you or one successful attack by them and you could be in extreme financial risk that could take years to untangle. And even once the IRS has your information you are still at risk. That’s the bad news. The good news is, even in the era of Sony-Target-Home Depot breaches, a few minutes spent now could save you years of headaches and heartache if you happen to be victim of an attack. Here are a few steps everyone can take to protect sensitive personal information and financial data. Spend time to combine folders and organize disparate directories and files archives where you keep tax related information. Be sure to do computer-wide searches to locate all such files and put them into a more organized and prioritized state. Delete duplicates and revisions that are no longer needed. Now that you have files organized, including past tax files, take the important step to encrypt these files using a service like HoGo Document Protection that enables users to upload and encrypt files in order to block routine access by anyone other than those to whom you have granted permission. HoGo allows you to set controls on files and keep content safe in a backed up cloud storage system. Another benefit of using a serving like HoGo is that you can share tax documents with your accountant or tax preparer with a lot more confidence and a lot less risk of your files being stolen now or in the future. Never let tax documents be passed through routine email or without taking the precaution of encryption. Following encryption and cloud storage of tax documents, it is important to move your files off your hard drive and copy them to another storage device that can be detached from your computer. Once file copies are moved, delete any remaining data stored on your hard drive. Consider running a data erase program to ensure any sensitive information is removed from typical hacker access. So, before you get your return together, put your tax house in order. You should worry more about hackers looking to hijack your most precious personal and financial data than the IRS— who offer a few more helpful tips on protecting your identity at tax time as well as avoiding typical scams. Once you have your documents secured and encrypted, you’ll be able to start your tax preparation with a clean slate and peace of mind.